Andre Lyder -for 2013 Spring semester - 本地外教 - 英语交流吧论坛 - Powered by Discuz! 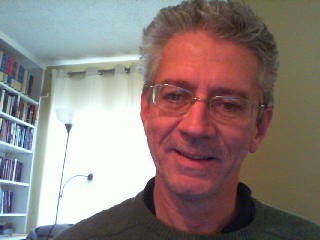 I am a 55 year old citizen of the Republic of Ireland (native English speaker) but have lived for many years in Canada. I hold a BA (philosophy) and have a further qualification as a programmer/analyst (computers). I recently completed a CELTA ESL teaching course at International House, Dublin. I have worked in the computer industry and also in the field of community development and most recently owned and ran a general trade bookstore (with a strong focus on literature) for many years. GMT+8, 2019-4-25 04:15 , Processed in 0.187527 second(s), 39 queries .